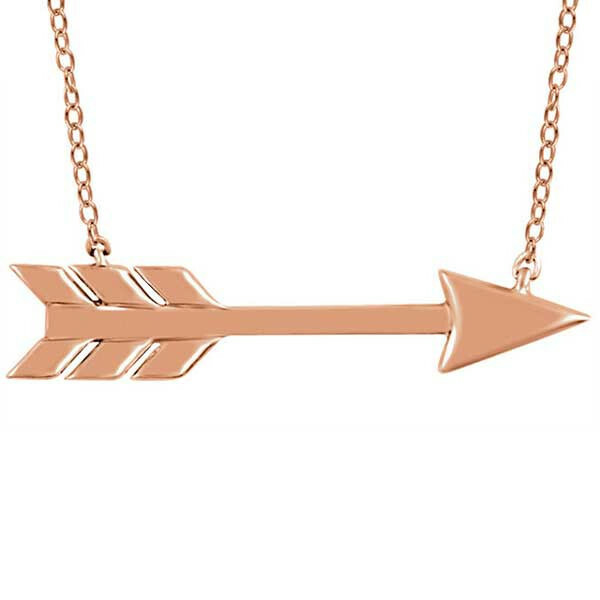 Shoot for spectacular style with this arrow necklace! Crafted in 14kt rose gold, it's sure to point out your fashion-forward focus. This necklace is sure to become one of your go-to favorites.